When is a Bic Lighter even better? When it's a case of Bic lighters. 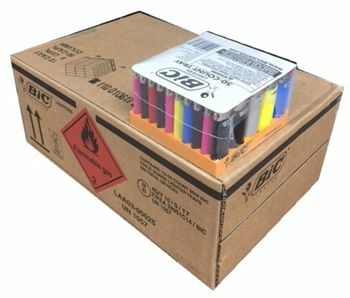 These American icons fly off the shelf so having a Bic Regular Size Lighter (case/300pc) guarantees you won't run out in the middle of a rush. People need lighters all the time and you want to be able to sell it to them. Grab a bic lighter case and be prepared.